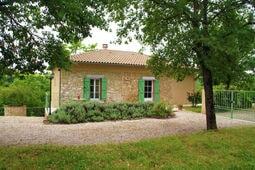 Self-catering Gîte with 5 bedrooms and 4 bathrooms. Sleeps 10. Non-applicable changeover. 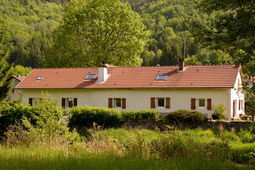 Self-catering Gîte with 4 bedrooms and 2 bathrooms. Sleeps 10. Saturday changeover. 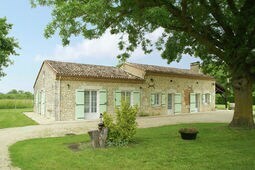 Self-catering Gîte with 5 bedrooms and 5 bathrooms. Sleeps 10. Saturday changeover. The original meaning of the term Gîte is simply a form of shelter. These days Gîtes offer traditional yet comfortable accommodation in a rural or village location. 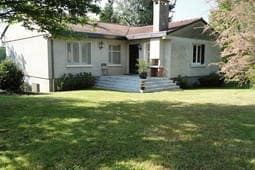 Technically, to be a Gîte the owner must live close by, typically the owner lives in the main house and the Gîtes are in a separate wing of the house or in converted outbuildings such as barns. As well as picturesque landscapes, Gîte’s offer the opportunity to engross yourself in French culture and feel part of the local community, ideal if you are looking for an authentic French holiday or a genuine home from home. Where do you find Gîtes? Gîtes are unique to France and can be found in most regions. There is a wide choice available the North West, specifically in Normandy, Brittany and the Loire Valley. Gîtes are often found by the sea, countryside or deep within the Mountains. What is included in Gîte accommodation? Most Gîtes offer fully fitted kitchens, en-suite bathrooms, English Satellite TV, CD player, DVD player, Internet Access and family board games. Some Gîtes do not provide Linen as standard but others do offer this as an optional extra. Although many owners will also provide the basic items such as toilet rolls, salt and pepper, washing up liquid and tea and coffee it is not always included. Many owners offer optional extras such as Linen (if not standard) and ‘Welcome packs’ so you have all the basics on arrival. In addition, some Gîtes come with family board games, books and DVD’s to keep the family entertained. Don’t worry, if you do forget to pack some essentials then at least you have a reason to visit the local shops and try a few French delicacies? Most Gîtes are in rural locations and therefore outdoor space is generous, often offering private or shared use of a garden, swimming pool and Barbecue area. Outdoor games and leisure equipment such as bicycles are often available for those looking for an active holiday. Who are Gîtes suitable for? As the majority of Gîte’s offer self-catering accommodation, they are a great option for families looking for a comfortable holiday with the facilities of home such as high chairs, TV, bikes and use of a swimming pool. With large accommodation available, Gîte’s can also be a great option for extended families to holiday together rather than staying in a hotel. If you are looking for a romantic getaway with all the charm of the French countryside then why not pick a secluded Gite, close enough to a village centre for access to fresh food and restaurants. Many Gîte’s are near to attractions such as canoe-hire, horse riding or vineyards for those looking to experience more from the trip. Or perhaps if you are looking to tour a region, why not stay in lots of different Gîtes, perhaps as part of a driving holiday, a motorbike or cycling tour. Due to the rural and often mountain location of Gîtes, they can be great for all sorts of activity holidays. Gîtes can be a great choice of accommodation for groups of friends or families, often multiple Gîtes are located on a Farm or Estate and therefore the accommodation is flexible, giving families/couples some independence from the group but the choice to be together. What are the benefits of staying in a Gîte? There are many Gîtes to choose from across France. Often Gîtes are in close proximity to a village or small town, giving you access to authentic French living with local markets, restaurants, outdoor pursuits and a range of local festivals. Gîtes are sometimes Pet Friendly, allowing you to bring your dog on holiday with you and make the most of the Countryside. Many Gîtes come with access to a private or shared swimming pool. There are lots of self-catering options available giving you the freedom to visit the local farmers markets, pick up a baguette from the local Boulangerie or an Éclair from the Patisserie. 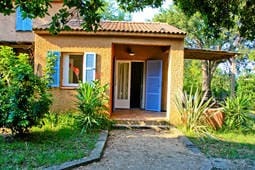 One of the benefits of staying in a Gîte is that you have advice on hand, this can be very helpful if it is your first time staying in the area. Most owners will provide information on local attractions, events, nearby restaurants/shops and maps of the area. There are often extra services available such as ‘Welcome Packs’ when guests arrive, some even offer a pre-booked home cooked dinner on arrival at an additional cost. If you are worried about space, book larger accommodation than you need. Check with the Gîte owner to find out what essential items are available when you arrive so you know what to bring with you.